The network will now serve Debenhams’ affiliate marketing activity in the UK and Ireland. This will be an exclusive partnership from April 2017 onwards. With a history that dates back to 1778, Debenhams is a leading international, multi-channel brand with a proud British heritage. The brand trades out of over 240 physical stores across 27 countries. 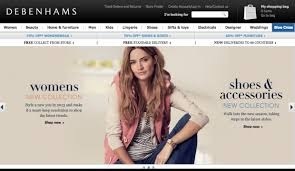 Online, Debenhams.com is one of the most visited global websites, delivering purchases to 66 countries around the world. “Debenhams had four key objectives in securing a new affiliate partner network: reporting efficiencies and account management; being able to leverage a network’s expertise in long tail growth; innovative implementation of platform data; and an omni-channel presence,” explains Pia Sharma, E-Commerce Marketing Manager at Debenhams.